The protruding thread is supposed to stick out of the dropout for approximately 14mm. 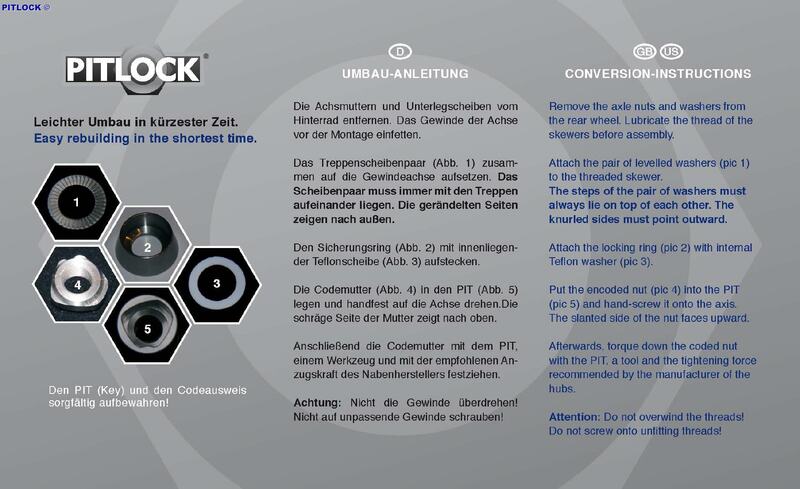 The locking ring requires a space (supporting surface) of 15 mm in the radius or rather 30 mm in the diameter around the thread, so that the Pitlock lock can be installed safely. Unfortunately, the system for solid axles (SH38, SH90 and M10) can not be produced with the same coding as the M5 system. 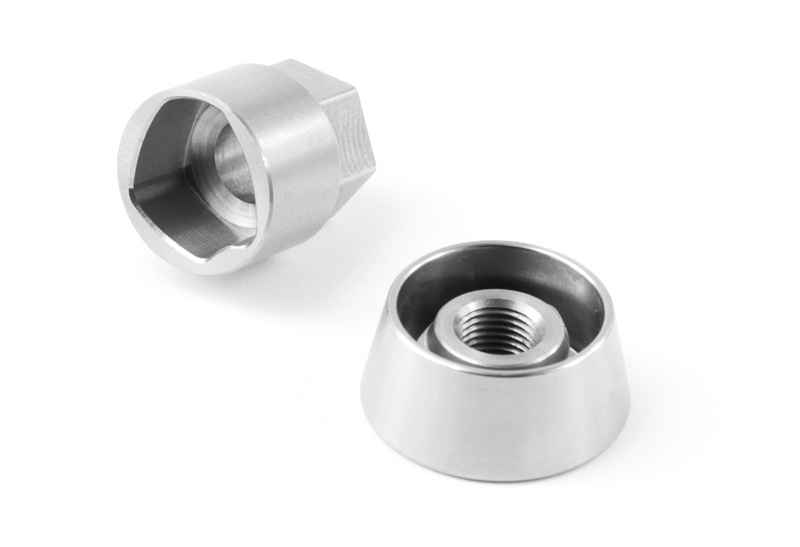 The coded nut of solid axles is much bigger than the coded nut for M5 axles. As a result, the PIT key of the solid axle systems must of course be bigger. Our solid axle systems are combinable! So, if you have a Shimano solid axle dynamo hub on your front wheel and a Rohloff solid axle or a Shimano Alfine/ Nexus on your rear wheel, it is possible to secure these two hubs with the same coding.